Watauga Falls, AKA Stateline Falls, is located on the NC-TN line. Note Steve's river-right angle. 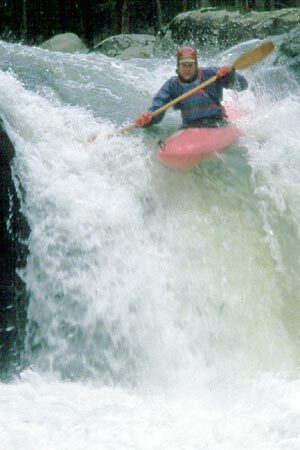 He is driving hard to river-right to avoid the large boulder just under the surface on the center-left at the base of this drop. This drop can be run even further to the right, but most important is the right angle and momentum.